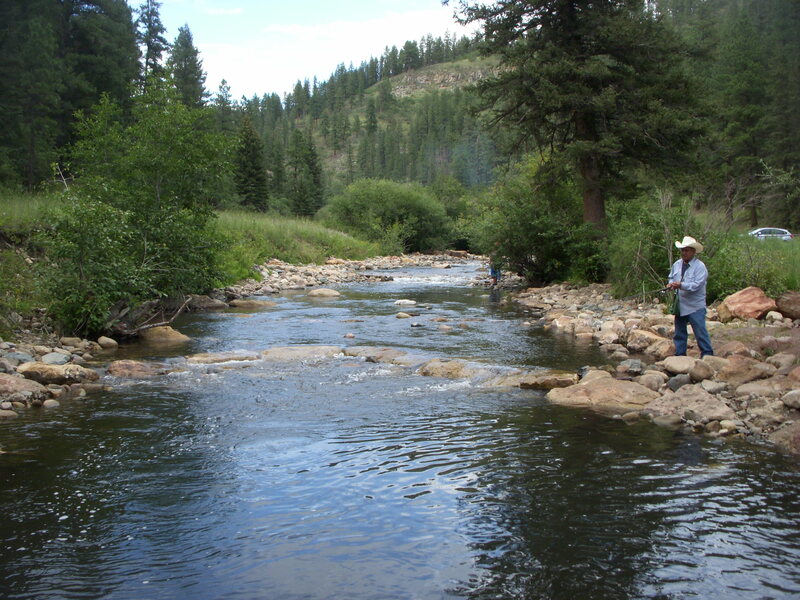 The Pecos River within Pecos Canyon is New Mexico’s best cold water fishery. 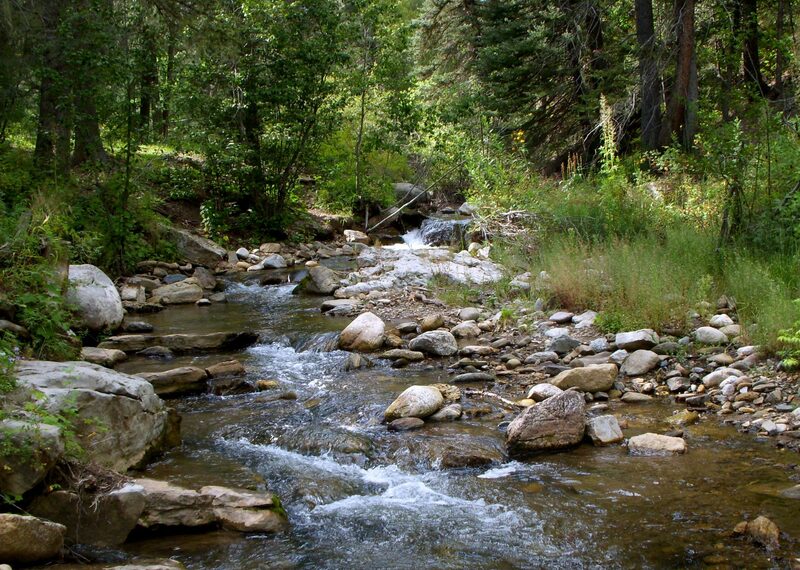 The Mora Recreation area is located on NM highway 63 approximately 16 miles north of the Village of Pecos. This stretch of the Pecos River is within the “Recreational Segment” of the Pecos Wild and Scenic River. It is an extremely popular area for camping and other outdoor activities and is the most heavily fished stretch of the Pecos in Pecos Canyon. The property is presently owned and managed by NMDG&F, however it has been designated as part of Pecos Canyon State Park and management is in transition to NM Parks. This area has been subjected to extreme overuse and abuse for many decades. There was an overabundance of riffle habitat in the Mora Recreation Area. Previous studies have identified this area as having significant environmental damage as a result of completely unregulated dispersed camping and other recreational activities including Off-Highway Vehicles (OHV). The project installed rock structures to develop pools, existing pools were deepened, and fill from these excavations were used to create bank-full benches that were planted with willows, cottonwoods, or other native shrubs/trees. Stream geomorphology: Heavy fishing use and even the operation of OHVs in the stream bed itself have resulted in shallowing of the stream, elimination of pools, and reduced trout habitat. 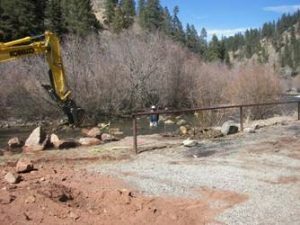 Removal of riparian vegetation, loss of riparian habitat: Removal of riparian vegetation and loss of riparian habitat have resulted from abuse from unregulated recreational activities. Improved trout population and size: to be measured by pre and post project electro fishing studies. Pre-project briefing, including purpose, process and expected results plus site visit. New Mexico Department of Game & Fish: In kind contributions including assistance with electro-fishing studies, permitting and construction. New Mexico State Parks : In kind contributions including Landscape Architect design services. 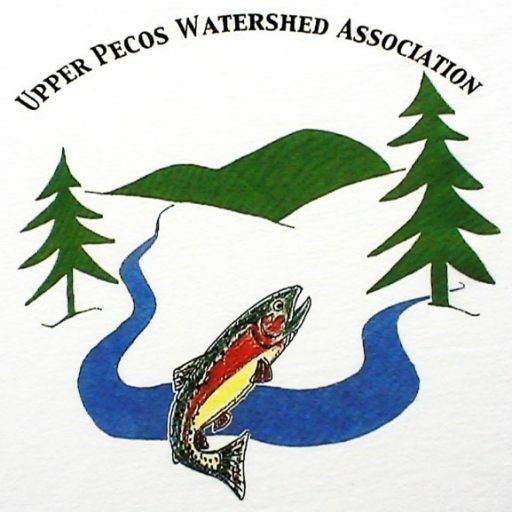 Truchas Chapter of Trout Unlimited: Volunteer assistance with Educational Outreach, riparian area cleanup, re-vegetation and electro-fishing studies. New Mexico Environment Dept. Surface Water Quality Bureau: In kind contributions including permitting, assistance with water quality monitoring.